Stock up on 29 Freebies! Please note: Not all Dollar Tree Stores carry the same items! ★ – means the item is FREE! no star – means it’s probably a good deal, but since I don’t always have sizes, it might depend. Final Price: as low as $0.80 ea. Final Price: as low as $0.50 ea. Final Price: as low as $0.75 ea. ★ Bayer Aspirin 20 ct.
Only original and intact manufacturers’ coupons will be accepted. Retailer-specific coupons will not be accepted. Coupons are void if copied, scanned, or if they have been altered in any way. Only two (2) print-at-home Internet coupons may be redeemed per transaction. We are unable to accept coupons for “Free” items with no purchase requirements or where the amount for the product is blank. 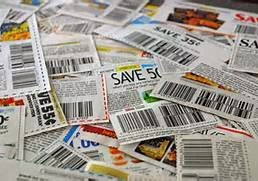 Coupons can only be used in stores and must be presented at time of purchase. Coupons cannot be redeemed for cash at a later time. Coupons will not be accepted without the purchase of the item specified and are subject to the terms listed (e.g. expiration date, size, limitations, quantity, etc.). Coupons cannot be redeemed for more than the purchase price of the item. Only one (1) manufacturer’s coupon will be accepted per item. Management has the right to refuse any coupon or otherwise limit quantities. You may want to print it out and bring it with you on your shopping trips. Happy Shopping!